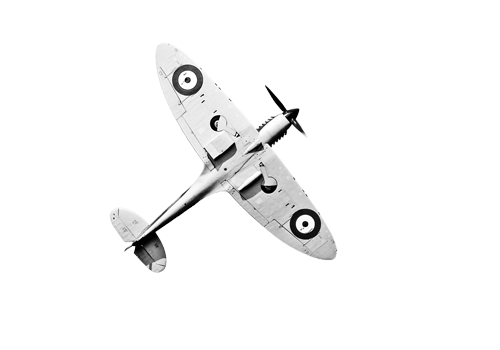 Sub@omic is Harpenden's leading web design and development business. This page offers links to the websites of clients based in and around Harpenden, Hertfordshire. 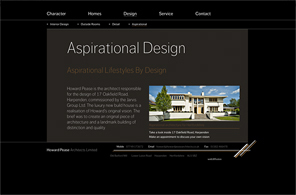 This designer website is the second website we've built for Harpenden's #1 architect, Howard Pease. The website, which continues to draw complimentary feedback from prospective customers, was built with Sub@omic's own website management system called Web Diffusion. 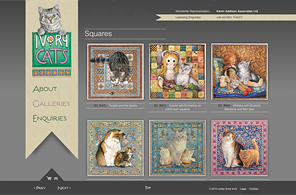 A Sub@omic responsive website that cat-alogues a lifetime's work for the globally respected miniturist Lesley Anne Ivory. The website enables trade buyers to view the artist's entire fine art catalogue and use the website's shopping basket facility to order a collection of licensable images for reporduction on a wide variety of china, stationery, prints, furnishings, games and giftware. A gently evolving blog allows the artist to post small snippets of news and announce the completion of new works. 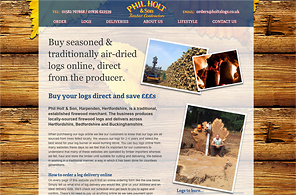 Harpenden timber merchant, Phil Holt & Son have been the proud owners of their Sub@omic website since late 2013. In 2014 and 2015 the firewood website muscled its way to the top of Google, found and then converted an incredible amount of new business - doubling the amount of customers the business had on its books and forcing the traditional log delivery business to rethink its delivery schedule and increase its logging capacity. A Harpenden holiday home owner has been welcoming visitors to their Cornwall holiday let through a Sub@omic website since Christmas 2013. Christmas is traditionally the time that families start to think about the year ahead and begin their holiday research. For this holiday home owner, Christmas 2013 was spent writing engaging website copy, redecorating the holiday home in Harlyn Bay before taking interior photos for the website. 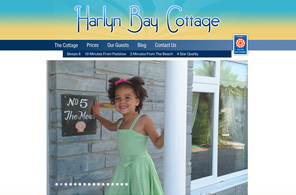 The website offers the owner a blog to write articles about the attractions of Padstow close to Harlyn Bay as well as the walks, the golf, the cycling and the beachlife offered by the surf haven of one of Cornwall's safest beaches. Sub@omic is a website photographer Harpenden our photographs and those of our partner commercial studio help our Customers to increase the visual impact of their websites. As a Harpenden mobile app developer neared launch of their app on Apple's App Store it became apparent that a small support website was what was needed at launch. Sub@omic quickly crafted a responsive website design for the Harpenden entrepreneur. 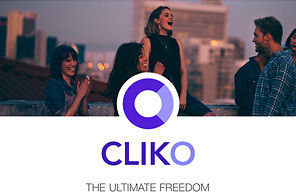 Key to the design layout was the requirement that the website be contained within one page to preserve the app-like feel of a website that existed to offer basic support for the social networking mobile app. Initially, the Customer built their own one page website using a free website builder but, after the website repeatedly went offline, something more professional and stable was required. A Harpenden house builder specialising in structural steel builds with a top quality finish and a rapidly growing list of happy Harpenden homeowners needed a website design to compliment their logo. Building using structural steel can lead to a quicker build and, with speed at the forefront of this Customer's mind, Sub@omic were able to use one of Web Diffusion's off-the-peg, templated website designs to quickly turn-around this robust little website that, despite it's fixed width layout, can be viewed on any device whether that's on a building site or in the home of a prospective Customer. Our involvement in this Harpenden website design project was not on the design side but purely the build. The new business identify and branding work had already been beautifully executed by a Harpenden design partner and Sub@omic's role was to convert the flat design into something more clickable. 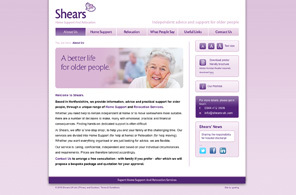 Our website design challenge was to build a standards-compliant website that, whilst being accessible for the elderly, replicated the designer's original design with 100% pixel precision. We offer design and branding agencies a trade website coding (HTML, PHP, CSS & MySQL) service and can turn the most complex web page layouts into fast-loading websites that look equally as good on whichever browser you choose to use. 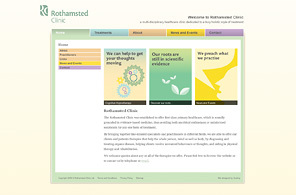 Rothamsted Clinic is a multi-disciplinary healthcare clinic dedicated to a truly holistic style of treatment. Working from clinics in Harley Street, London and Harpenden, Hertfordshire the Practitioners had already developed their brand with an agency partner. Sub@omic worked on a trade basis for the Harpenden design agency, writing code to deliver their beautiful website design and page layout with 100% brand fidelity. Using intricate CSS styling and standards compliant XHTML code, Sub@omic delivered with clinical precision a website that, regardless of the web browser or platform, is a pixel-perfect accurate version of the original website design. A Sub@omic cognitive website is 'simply more clickable. Sub@omic is Harpenden's leading web design and development business. 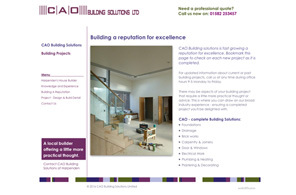 We do more than just design and build websites, we consult and we create websites that deliver real business. You can find us alongside other creative businesses at Old Batford Mill. Built in 1857, Old Batford Mill was owned by local farmer George Titmuss and was run as a flour mill until 1928. Shortly after this time the mill was sold for office use and now is a creative hub for Harpenden business.